The State of Missouri requires that all students entering the 8th grade must receive the Meningitis and Tdap vaccines to be compliant for school attendance. Proof of these vaccines is required by the State of Missouri for all incoming 8th graders. Please provide a record to the school as soon as your child receives their Tdap and Meningitis immunizations. Your child will not be allowed to start 8th grade until this information is on file in the school health office. Vision screenings: Distance vision screening is performed on 7th grade students. If any vision abnormalities are noted during the screening, you will be notified by phone, email or letter. 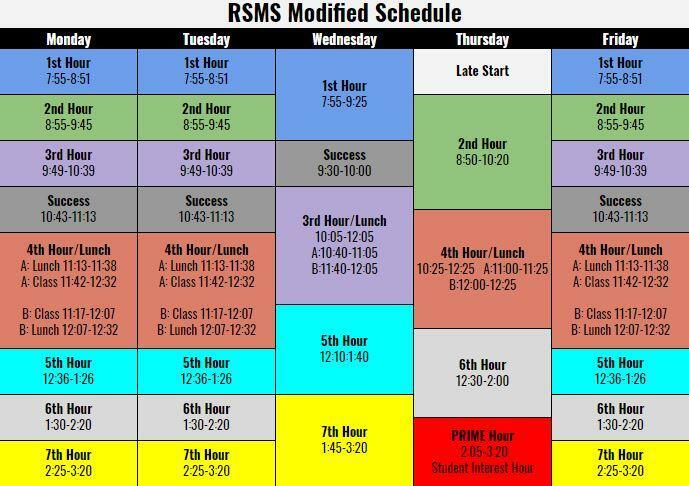 Scoliosis (curvature of the spine) screenings: 8th grade students will be screened during PE class as time permits. An informational letter will be emailed or mailed home before screenings start. If you do not want your child screened, you must complete the opt out portion of the letter and return it to the nurse's office. Unless the opt out is received, your child will be screened. If any abnormalities are noted in the screening you will be notified by phone, email or letter. STUDENTS ARE NOT ALLOWED TO CARRY ANY MEDICATION ON THE BUS, IN CARS, OR IN BACKPACKS (except pre-approved emergency medications). Prescription and non-prescription medicines must be brought to school by a parent or guardian in the original labeled container which contains instructions on how and when the medication is to be given. When you get a prescription filled, ask the pharmacist to make an extra container with the label on it for the school nurse. Over the counter medication will be administered only as prescribed on the label and it will not be given for more than 5 days without a doctor’s request. A MEDICATION REQUEST FORM MUST ALSO BE COMPLETED BY THE PARENT/GUARDIAN. Medication will not be sent home with students. Any unused medication will need to be picked up by an adult. Unused medication that remains at school after the end of the school year will be properly disposed of.